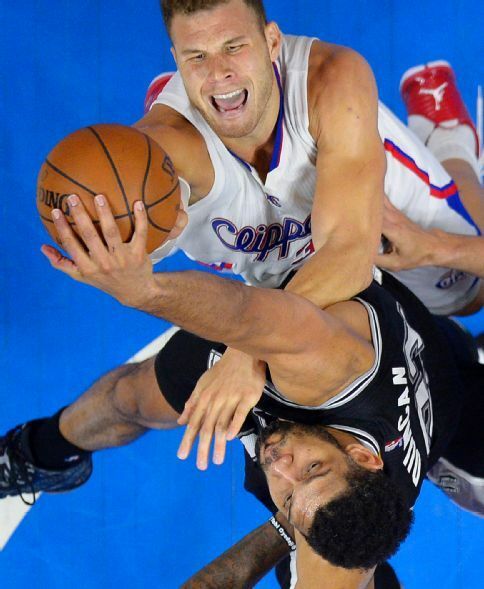 Tim Duncan’s block on Blake Griffin with under a minute left in Game Five is the signature image of the playoffs so far. Duncan came up huge in potentially a series-changing win, posting 21 points (8/13 field goals), 11 rebounds, 4 assists, 3 steals and 1 huge block on Blake Griffin in 39 minutes. Some line for a guy that just turned 39 years old just three days earlier.